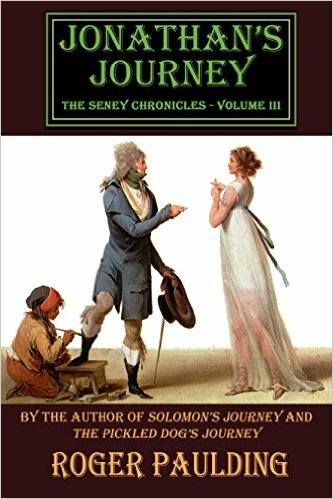 *Jonathan’s Journey (The Seney Chronicles Book 3) (Deal, Not Free) by Roger Paulding. Price: $0.99. Genre: Historical Thriller Deal, Sponsor, Historical Fiction, United States, Thrillers. Rated: 4.7 stars on 3 Reviews. 267 pages. ASIN: B00UCJ6BWK. Reviewers love it: This is an incredibly well researched book! Enthralling! An attention grabbing chronicle of a young man’s romp to wisdom in Colonial America! This is a great read, especially if you like historical fiction. Riveting book! I loved it! The Millionaire Baby by Anna Katharine Green. Price: Free. Genre: Mystery, Historical, Suspense. Rated: 4 stars on 13 Reviews. 167 pages. ASIN: B01AAKI25Y. **Tempesta’s Dream: A Story of Love, Friendship and Opera by Vincent B. “Chip” LoCoco. Price: Free. Genre: Historical, Opera, Theory, Historical Mystery. Rated: 4.5 stars on 64 Reviews. 286 pages. ASIN: B00FEYPL10. *Term of Service: Life on the Front Lines of a Modern Vietnam by Brian Welch. Price: Free. Genre: Historical, Military, Middle East, Iraq War, Historical Mystery. Rated: 5 stars on 8 Reviews. 236 pages. ASIN: B01B6PZGOC. Three Links of Chain by Dennis Maley. Price: Free. Genre: Historical, Race Relations, Teen & Young Adult, Historical Mystery. Rated: 4.4 stars on 16 Reviews. 250 pages. ASIN: B010C581TO. The Old Man in the Corner by Baroness Emma Orczy. Price: Free. Genre: Historical, Mystery, Thriller & Suspense. Rated: 4.3 stars on 18 Reviews. 211 pages. ASIN: B01AAPZ37E. The Filigree Ball : Being a full and true account of the solution of the mystery concerning the Jeffrey-Moore affair by Anna Katharine Green. Price: Free. Genre: Historical, Mystery, Thriller & Suspense. Rated: 4.3 stars on 16 Reviews. 216 pages. ASIN: B01AA7CKPA. HISTORICAL ROMANCE: Regency Romance: Falling for the Duchess (Duke Military Victorian Romance) (19th Century Bad Girl Romance Short Series) by Samantha Forest. Price: Free. Genre: Victorian, Military, Regency, Historical Mystery, Historical, Romance, Women’s Fiction. Rated: 4.3 stars on 12 Reviews. 460 pages. ASIN: B01BRVLB1C. The Leavenworth Case by Anna Katharine Green. Price: Free. Genre: Historical, Mystery, Thriller & Suspense. Rated: 4.2 stars on 34 Reviews. 322 pages. ASIN: B01AA8PLGO. CHRISTIAN ROMANCE: Inspirational Romance: Spirit Child (Contemporary Pregnancy Romance) (New Adult & College Paranormal Suspenseful Fantasy Short Stories) by Samantha Forest. Price: Free. Genre: Mystery & Suspense, Historical Mystery, Contemporary Women, Women’s Fiction, Romance, Christian, Historical. Rated: 4.1 stars on 24 Reviews. 478 pages. ASIN: B01BTNYZNY. MAIL ORDER BRIDE: Historical Western Romance: Brides of Cowboys (Inspirational Clean Christian Romance Box Set) (Sweet Frontier Cowboy Romance Bundle) by Ponderosa Publishing. Price: Free. Genre: Historical Mystery, Anthologies, Collections & Anthologies, Inspirational, Westerns. Rated: 4.1 stars on 10 Reviews. 210 pages. ASIN: B01BUNRW1U. Pearl-Maiden: A Tale of the Fall of Jerusalem by Rider Haggard. Price: Free. Genre: Classics, Historical, Romance, Historical Mystery. Rated: 4.1 stars on 10 Reviews. 351 pages. ASIN: B01AAH5XQ8. The Millionaire Baby by Anna Katharine Green. Price: Free. Genre: Historical, Mystery, Thriller & Suspense. Rated: 4 stars on 13 Reviews. 167 pages. ASIN: B01AAKI25Y. Blood on the Roses by Robert Hays. Price: Free. Genre: Mystery, Thriller & Suspense, Mystery, Historical Mystery, Historical. Rated: 4 stars on 7 Reviews. 250 pages. ASIN: B012B9KS7W. *Dazzled by Darkness: A Story of Art & Desire Kindle Edition by Erica Miles, Learn about Author Central, , Selma Eisenstadt, Firefeet, David Perez, Diane Reus, Shauna Smith, Silma Smith. Price: Free. Genre: Criticism, Literary, Historical Mystery, Historical, Literary Fiction, Historical, Mystery, Historical Fiction, Multicultural & Interracial. Rated: 4.7 stars on 34 Reviews. 450 pages. ASIN: B00XV6BUWC. MAIL ORDER BRIDES & BABIES: The Surprise Valentine Delivery: Clean Historical Romance Kindle Edition by Terri Grace. Price: Free. Genre: Mystery, Westerns, Victorian, Romance, Historical Mystery, Frontier & Pioneer, Inspirational, Christian. Rated: 5 stars on 6 Reviews. 48 pages. ASIN: B01AY8O36Y. Historical Romance: Once Upon a Lord (Victorian 19th Century Arranged Marriage Romance) (Lady Rake Mystery Duke Romance) Kindle Edition by Julia Regan. Price: Free. Genre: Historical, Victorian, Mystery, Thriller & Suspense, Historical Mystery, Regency. Rated: 4.3 stars on 21 Reviews. ASIN: B01BUKCDVM. HISTORICAL ROMANCE: REGENCY ROMANCE: Royal Desires (19th Century Regency Duke Secret Baby Romance Box Sets) (Victorian Military Romance Short Stories) Kindle Edition by Ponderosa Publishing. Price: Free. Genre: Anthologies, Historical Mystery, Military, Regency, Romantic Comedy, Collections & Anthologies. Rated: 4.1 stars on 15 Reviews. ASIN: B01BUO4DC0. *Beverly of Graustark Kindle Edition by George Barr McCutcheon. Price: Free. Genre: Classics, Historical Mystery, Romance. Rated: 4.8 stars on 9 Reviews. 245 pages. ASIN: B01ADRL45Y. Will Warburton Kindle Edition by George Gissing. Price: Free. Genre: Classics, Historical, Mystery, Historical Mystery. Rated: 4.6 stars on 5 Reviews. 204 pages. ASIN: B01AEDDI60. Born in Exile Kindle Edition by George Gissing. Price: Free. Genre: Classics, Historical, Romance, Historical Mystery, Mystery. Rated: 4.4 stars on 5 Reviews. 395 pages. ASIN: B01AE16ATE. Largas noches de lluvia (Spanish Edition) Kindle Edition by Marc R. Soto. Price: Free. Genre: Mystery, Historical Mystery, Contemporary Women, Historical Romance, Spanish. Rated: 4.2 stars on 9 Reviews. 105 pages. ASIN: B008CQQ404. Love On Loan Kindle Edition by Nicole Smith. Price: Free. Genre: Mystery, Thriller & Suspense, Romance, Historical Mystery, Contemporary Women, Contemporary. Rated: 4.1 stars on 18 Reviews. 261 pages. ASIN: B008FQZ43Y. Godfrey Morgan A Californian Mystery (Xist Classics) Kindle Edition by Jules Verne. Price: Free. Genre: Coming of Age, Historical Mystery, Classics, Mystery. Rated: 4 stars on 11 Reviews. 160 pages. ASIN: B01BN2B354. The Privateersman Kindle Edition by Frederick Marryat. Price: Free. Genre: Mystery Romance, Historical Mystery, Historical Romance, Classics. Rated: 4 stars on 9 Reviews. 257 pages. ASIN: B01AAB3HLW.